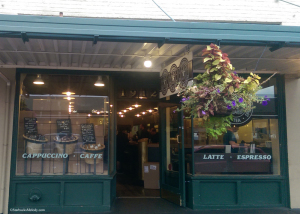 On my way into work today (September 16, 2014), I decided to drop by the Starbucks at 1912 Pike Place in Seattle, Washington. I’ve been many times. 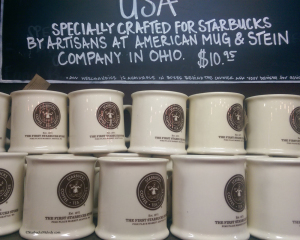 Today, I happened to be looking for gifts and dropped by in search of Starbucks gift ideas. 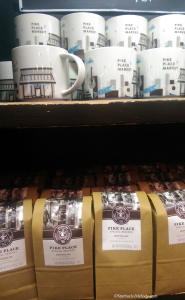 This Starbucks is known as the “First Starbucks.” It offers completely one-of-a-kind merchandise and a unique experience! 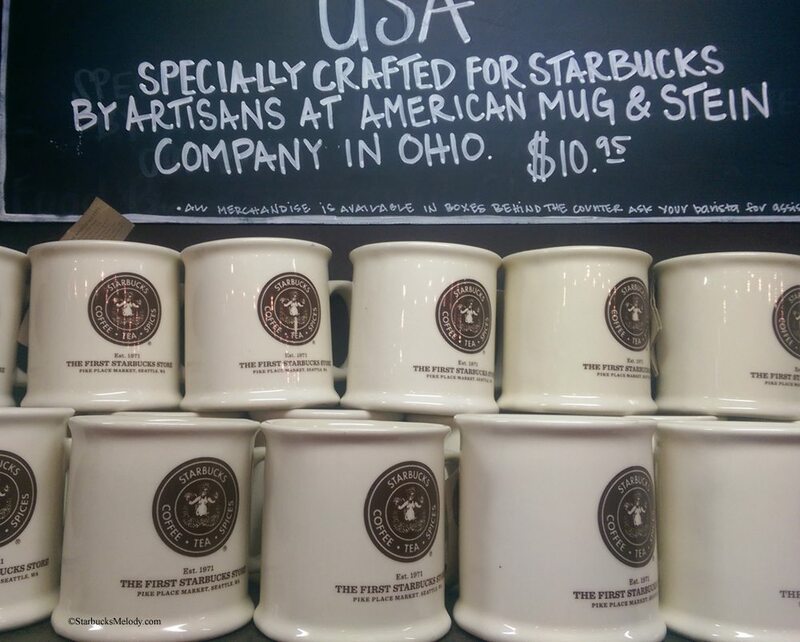 You can even get an exclusive coffee, which is the Pike Place Special Reserve. 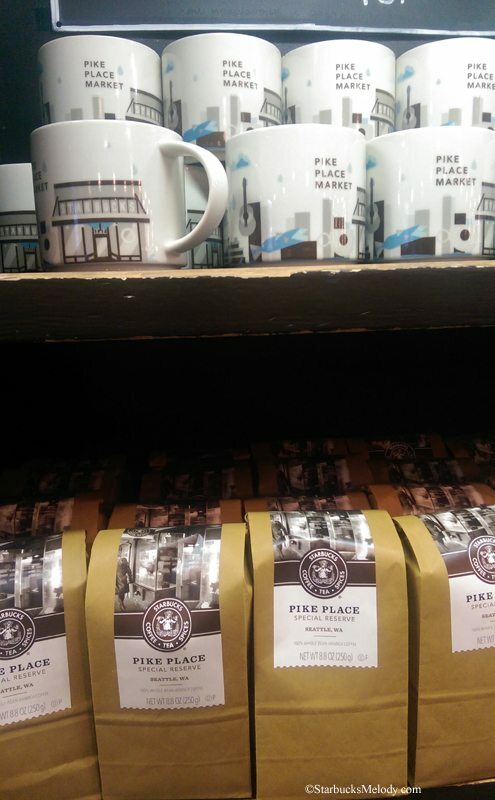 Speaking of coffee, the 1912 Pike Place Starbucks is one of the few in the corporation that offers Starbucks Reserve coffees but does not have a Clover brewer. You can get a wonderful handcrafted slow pour over of a Reserve coffee. 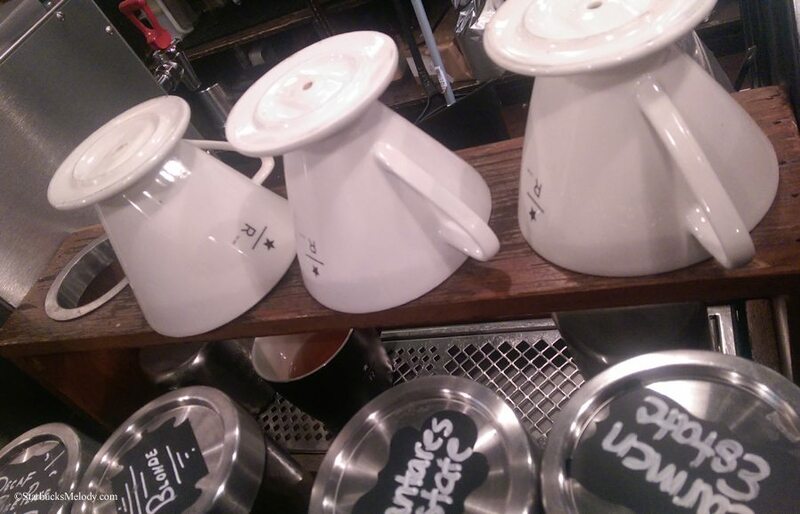 The bar baristas have special multi-tasking talents! 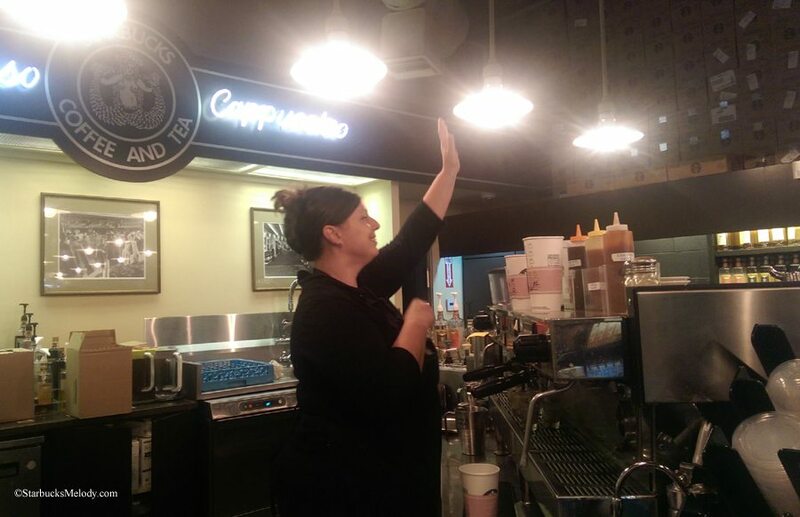 I’m always listening to what’s happening in the store, and Kazon (shown above) as she made drinks, would ask customers where they were from and welcome them to Seattle. I heard her talking to tourists from Japan and New York who’d come to Seattle and had made this store a top priority to visit. Kazon is amazing. I’ve heard other partners do the same at the bar. 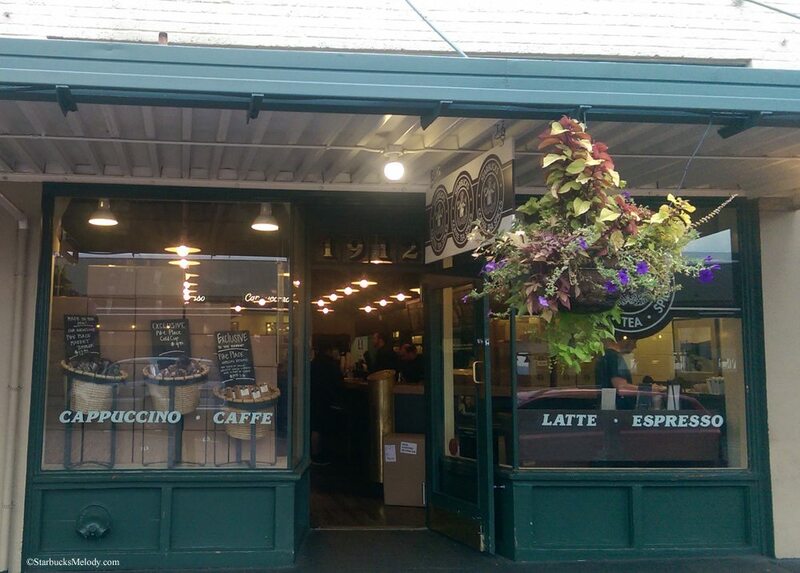 Don’t forget to admire how beautiful the front of the store is! One of the most common questions I get asked (whether by email, Facebook, Twitter or other means) is “What Starbucks things should I do when I visit Seattle?” I’ve compiled a list of such things here. 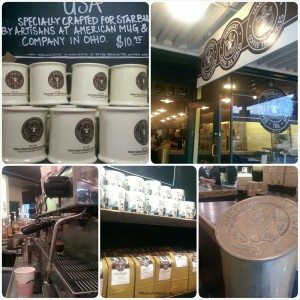 If you’ve ever thought about a vacation to Seattle and you’re a Starbucks fan, please click on that link. Thanks for enjoying this trip with me to 1912 Pike Place. And yes, I did pick out some gifts. Mission accomplished. Giveaway: Fun Key Chains and More from the Starbucks Coffee Gear Store. Melody, good morning! And thanks as always for a wonderful article. Although I’ve not been commenting (too much pain from having to quit coffee), I’ve been reading away and most mornings, I look forward to it. @launce – Thanks for stopping by! Are you switching to decaf or herbal teas? 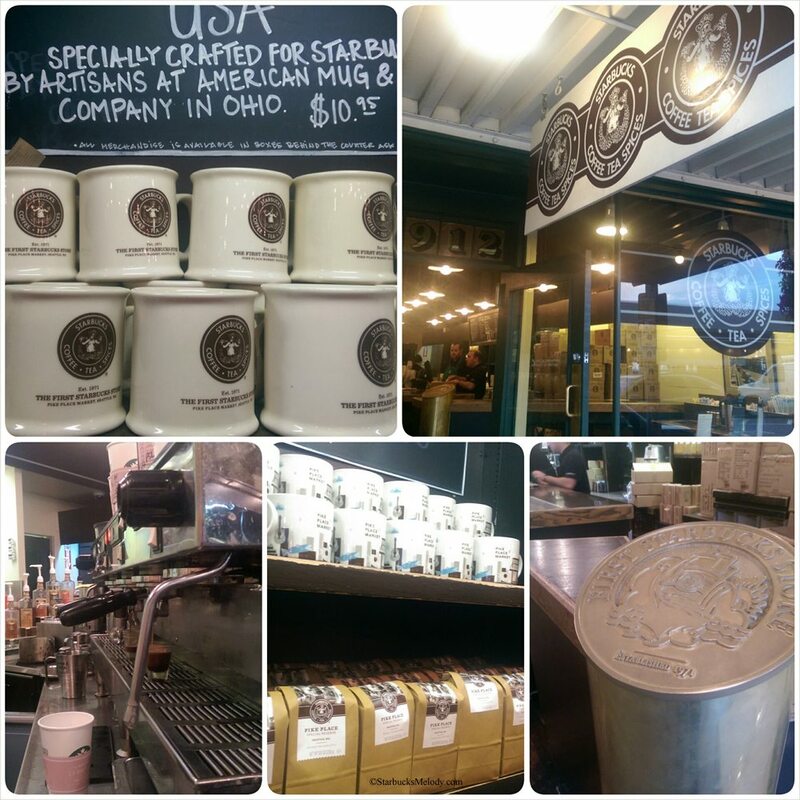 It always reinvigorating to drop by this store! I’m rediscovering herbal teas, but haven’t found a good decaf, so suggestions are anyways welcome! 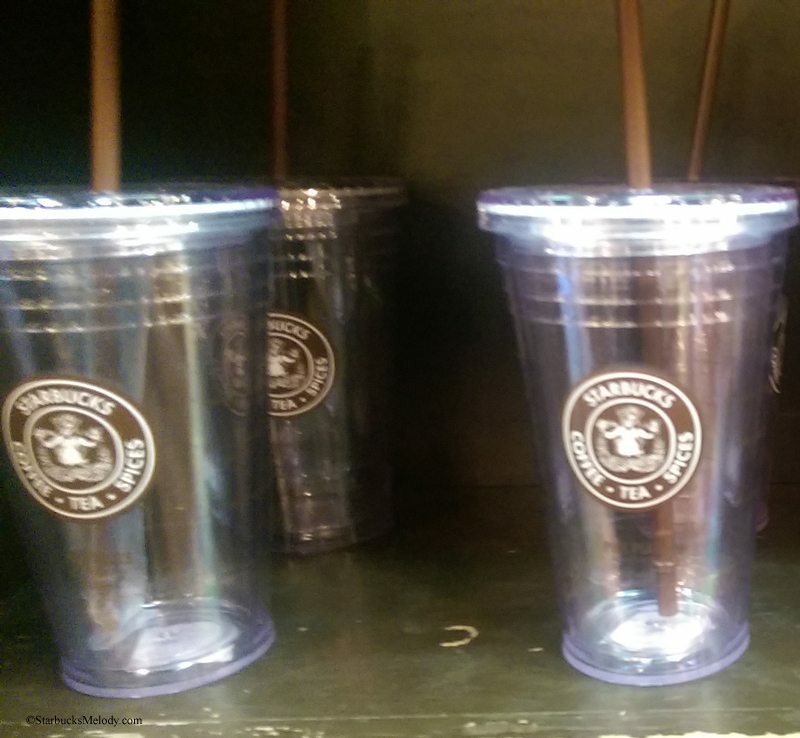 @Launce – The Teavana teas will be in Starbucks stores everywhere soon. Some of their amazing herbal teas are Pineapple Kona Pop and Blueberry Bliss. It will be a whole new tea adventure at Starbucks! Melody, thank you! I’ve had the pleasure of trying the pineapple. I wonder why they don’t have a Clover machine. Is it a space issue or more of a lease issue, kind of like the food thing?